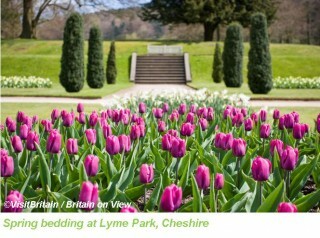 Now is the perfect time for a spring walk to take in the emerging flowers at the National Trust’s Lyme Park, Cheshire. 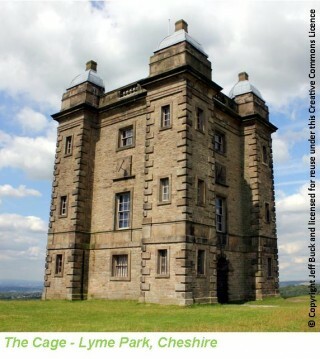 To fully appreciate the beauty of the park we recommend George Harris’ “A Big Round Lyme Park” route. George’s route takes in the fantastic scenery around the National Trust property, where you might even be lucky enough to see one of the park’s Red and Fallow deer herds, which have called Lyme Park home since medieval times. The estate is also home to an Edwardian rose garden, ravine garden and a series of luxurious herbaceous borders next to the reflecting lake. The most famous structure found on the estate is The Cage, an eighteenth century, three storey hunting lodge. It was later converted into a park-keeper’s cottage and has even been used as a lock-up for prisoners! George’s route is a 9 mile circular walk, starting in the town of Disley. The route is free to download to your phone via the ViewRanger app. Click here for more information. If you decide to make it a family day out the Crow Wood Playscape is a must – with a giant slide, badger den and rope walks! There is also an on-site coffee shop to refuel after a long day of exploration! If you do take a trip to Lyme Park and try out George’s route why not comment here and let other people know what you enjoyed about the estate. If you take any photos then please feel free to post them on our Facebook page, or tweet them to us – we love hearing from you!